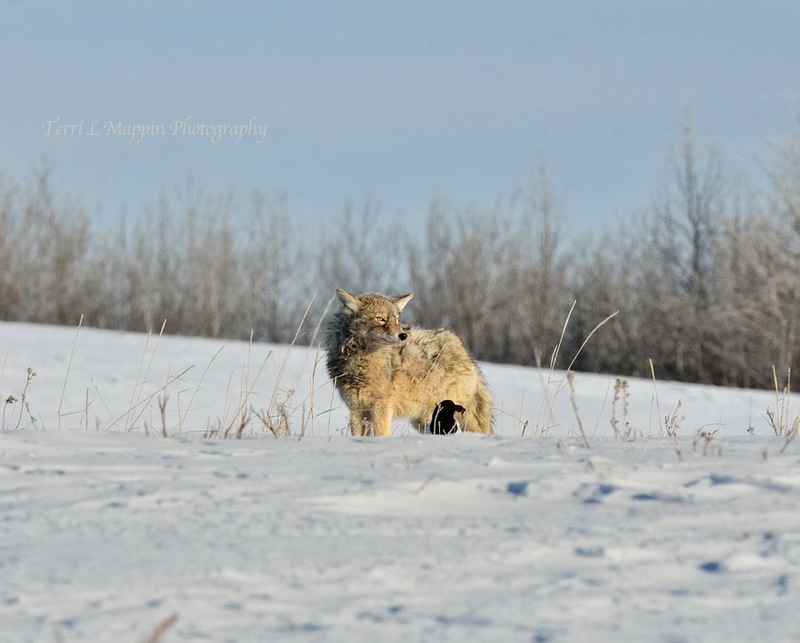 Terri Mappin Photography : Those Prairie Scavengers! Truthfully, I took these images yesterday when the sun was shining! It was such an overcast, blah, grey day that I preferred putting my head in the clouds and pretending that the 20th of December was sunny not overcast! Wow ... the 20th, I guess that means only 5 more days till Christmas doesn't it? Hmm ... I guess that would also mean that the Winter Solstice is on our door step! Oh Man!!! colour me green!...these are truly a fantastic capture!...what lens did you pull this off with? Great timing, Terri. 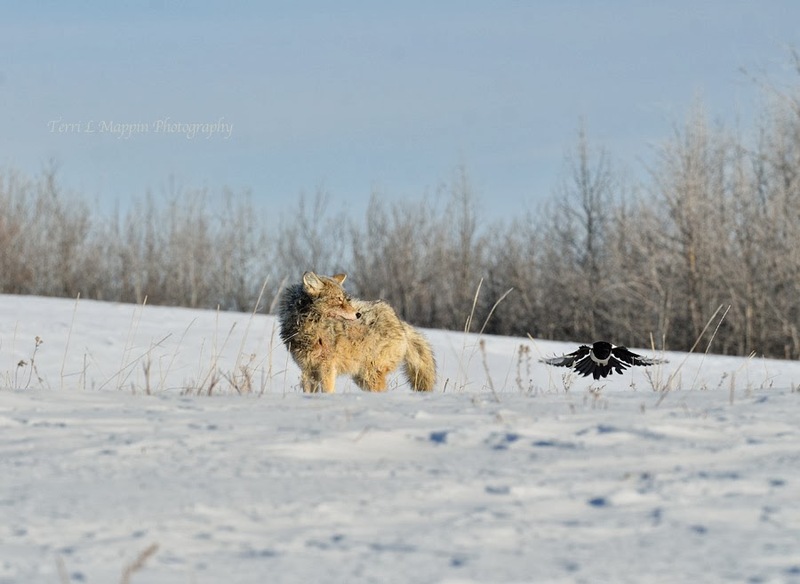 What a brave magpie!